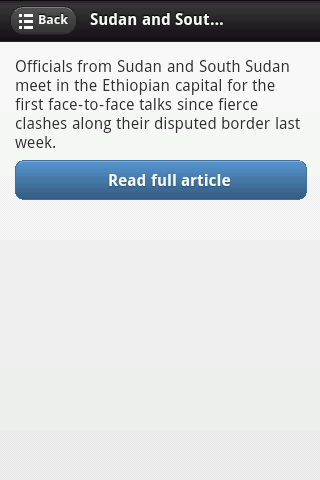 African News app is your all in one Africa related news aggregator. 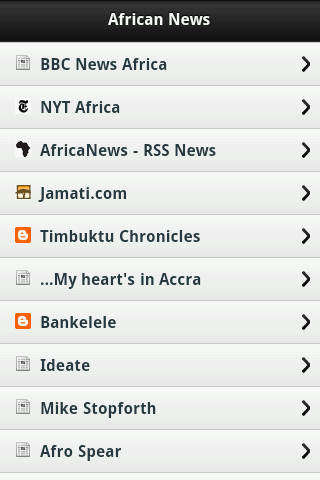 App collects Africa only related news from various sources such as: BBC News Jamati Online Hacktivate Timbuktu Chronicles Bankelele Black Looks Afrospear The Zambian Africa Unchained Museke Sturvs Kenyan jewels Africa Business Source The Gamelian World Indepth Africa Think Africa Press Politics Africa Indepth Africa Newstime Africa and more… News are related not to continent only, but are also country specific. 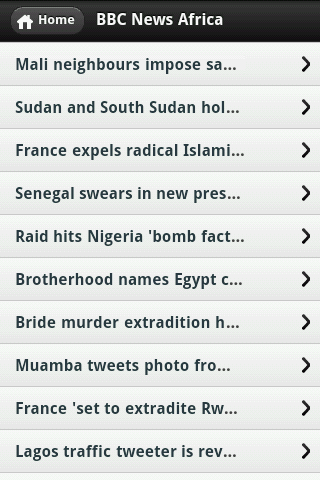 Breaking news come from countries like Algeria, Tanzania, Mali,Somalia etc. News are organized by source and you will be able to easily recognize the ones that report news on politics, African business, jobs in Africa but also African entertainment such as music and television. Our intention and efforts in creating this app was to have "Everything Africa" source in one place. Hope you will like recognize this and like it!